Whether your students have a taste for a southern style meal, authentic Brazilian cuisine,\ or delicious seafood, Orlando, Florida has something that will leave even the pickiest eaters in your student travel group wanting a second helping. After a full day of theme parks, exploring, and experiencing all of the fun attractions Orlando has to offer, we know your students will have one thing on their mind—food. Let us introduce you to some of the best restaurants in Orlando that are perfect for your large student group. With plenty of space, a variety of menu options that accommodate all sorts of dietary restrictions and convenient parking, we are certain you are going to find an option on this list that you and your students will love. You can’t go to Orlando without stopping by the most successful barbecue chain in Florida. 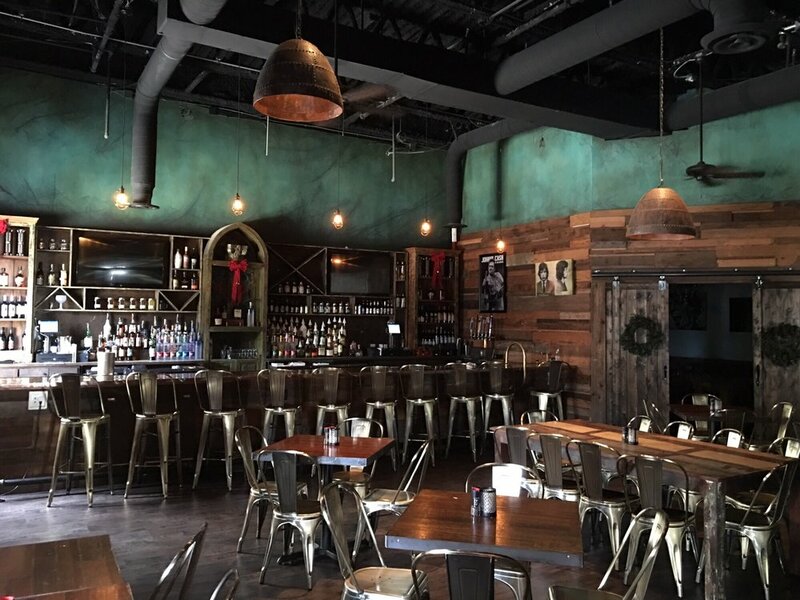 With 2 Orlando locations, 4 Rivers Smokehouse is known for their savory BBQ classics like pulled pork, prime rib, smoked turkey, and of course, the brisket that made them famous. But don’t worry vegetarians, they have you covered with their equally delicious “From the Garden” menu. Non-meat entrees include their smoked Portobello, vegetarian quesadilla, veggies ‘n grits and more. In addition, all of their sauce is gluten-free and allergen information is available for every item on the menu so every member of your group will be taken care of. Those with a sweet tooth will be especially excited to hear about 4 Rivers Smokehouse’s extensive dessert menu with mouthwatering Southern comfort foods made from scratch like cakes, bars, cupcakes, cookies and much more. Known as a local favorite, 4 Rivers Smokehouse provides plenty of seating for its many customers with communal picnic tables and family-style seating so your students will have plenty of space to sit and relax while they enjoy their meal. Their wide variety of tasty menu options haven’t just earned them local praise, but also national recognition from USA Today, Paula Deen Magazine, FOOD Magazine, Cooking Light, Food & Wine, Cigar Aficionado, Restaurant Business and TravelandLesiure.com. But 4 Rivers Smokehouse is known for more than just its delicious brisket, an inspiring origin story accompanies this Florida favorite. The ever-expanding restaurant chain had a humble beginning in John Rivers’ garage where he cooked brisket to raise money for a local family whose young daughter was battling cancer. Since the initial launch of the fundraiser, John Rivers expanded his reach to support schools, churches, and other charitable organizations. Eventually, John’s garage just wasn’t big enough to support the demand and 4 Rivers Smokehouse was born. But all of the expansion and success hasn’t changed the company’s main focus, which is to support the local community and help those in need. It can be hard to find healthy eating options while traveling without breaking the bank, but our next recommendation will give you the best of both worlds. Take a break from greasy fast food or pricey restaurants and try out a refreshing alternative, The Rusty Spoon. Priding itself on using quality ingredients that are prepared simply, The Rusty Spoon only uses locally-sourced food which makes for a stronger community and fresher food. Not only is the farm-to-table cuisine healthy, but it is also delicious, as proven by the 7 gleaming Silver Spoon awards it received only 3 years after the restaurant opened. The restaurant’s founder, Kathleen Blake is also a two-time James Beard Award Nominee (also known as “The Oscars of Food”) and was named Best Chef South and 2013 Best Chefs America Southern Region. With menu options like slow braised lamb, shiittinonion soup, handmade farfalle and charred squid and octopus, vegetarians, vegans and gluten-free students will all find an appetizing menu option that fits their dietary restriction. With spacious seating options to accommodate for larger groups and the option to reserve up to 20 seats, your hungry travelers won’t have to wait around to be seated. 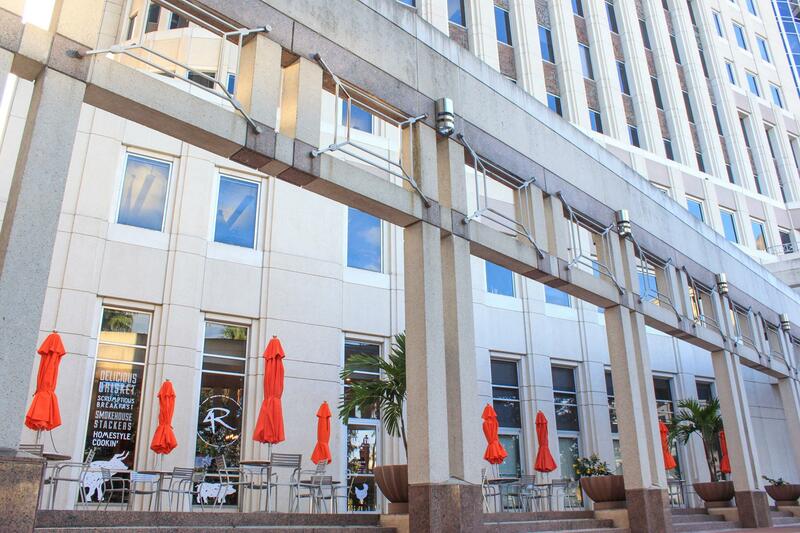 Conveniently located in the center of Downtown Orlando, students can enjoy exploring the city before or after their meal and with available parking in the 55 West building, in the SunTrust building, and at The Plaza, (all within one block) you will have one less thing to stress about. With live music, authentic southern cuisine, and spacious indoor and outdoor dining areas, Lafayettes is the perfect place to take your student travel group for any meal of the day. Located in the heart of the beautiful Pointe Orlando outdoor mall, students can enjoy a delicious meal after perusing the many shops. 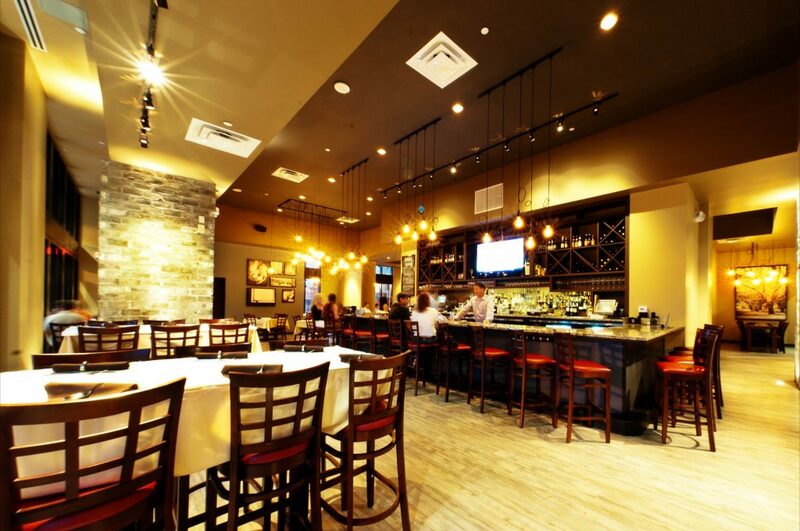 A short drive from popular Orlando attractions like SeaWorld Orlando, Universal Orlando Resort, Pointe Orlando, and ICON Orlando 360, Lafayettes is the perfect place to catch a bite to eat after a long day of fun. Music lovers in the group will appreciate the nightly live performances from local Florida bands and touring acts which feature music ranging from Americana to country to rock and roll and more (a schedule of upcoming performances can be viewed on their website). Who knows, you just might get to witness the humble beginnings of a future music legend. And we haven’t even started talking about their mouth-watering menu options. Entrees include burgers, seafood, pizza and southern classics like shrimp and grits or an array of Po’Boys to choose from. Worried about finding seating for your large group? Don’t be. Lafayettes offers large indoor and outdoor seating areas as well as 3 semi-private dining areas which can be reserved ahead of time to fit the whole squad. Lafayettes is a one of a kind restaurant, so don’t miss your chance to experience the city’s vibrant food and music scene on your next trip. Want to give your students a unique, cultural dining experience without leaving the country? 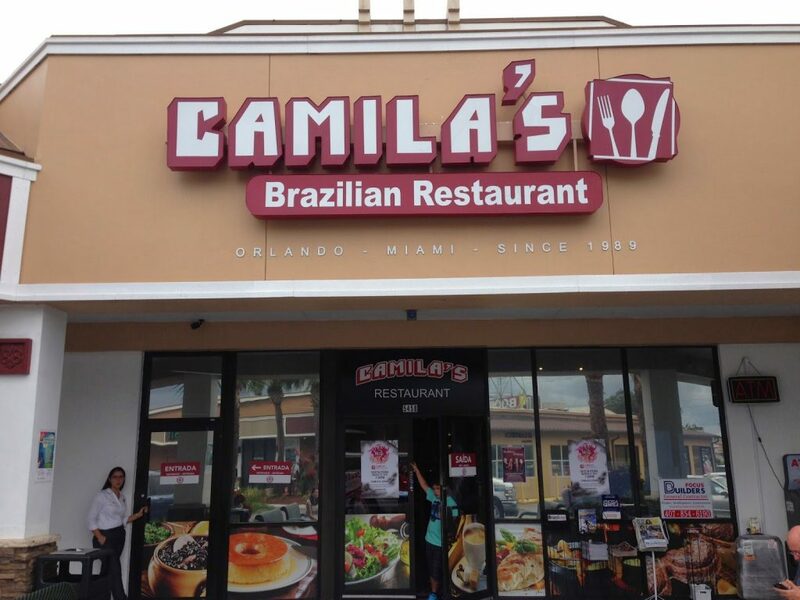 Try out Camilla’s—also known as the “Brazilian Flavor Embassy in America”—the largest and most traditional Brazilian restaurant in the United States. With over 25 years of experience in preparing authentic Brazilian style food, Camila’s has become a highly sought destination for Brazilian tourists as well as anyone who appreciates good food. Camila’s offers an all-you-can-eat buffet system for just $14.95 and with such tasty options to choose from, you are sure to get your money’s worth when your hungry students keep going back for seconds and thirds. The buffet offers 14 types of salads, 12 different dishes, deserts and natural juices made from fresh fruit. Brazilian favorites like picanah, bacalhau, feijoada and more are offered. The restaurant has received rave reviews for their tasty food, great service, friendly staff and welcoming atmosphere and has even received TripAdvisor’s certificate of excellence for 4 years in a row. In addition to their great food, Camilla’s has you covered with parking lot and street parking for your large vehicles and plenty of seating for all of your students. Did we mention that Camila’s is less than a 10-minute drive from Universal Orlando Resort? From the huge blue crab painted on the front of the restaurant to the brightly colored ocean-themed interior, everything about High Tide Harry’s screams Florida. 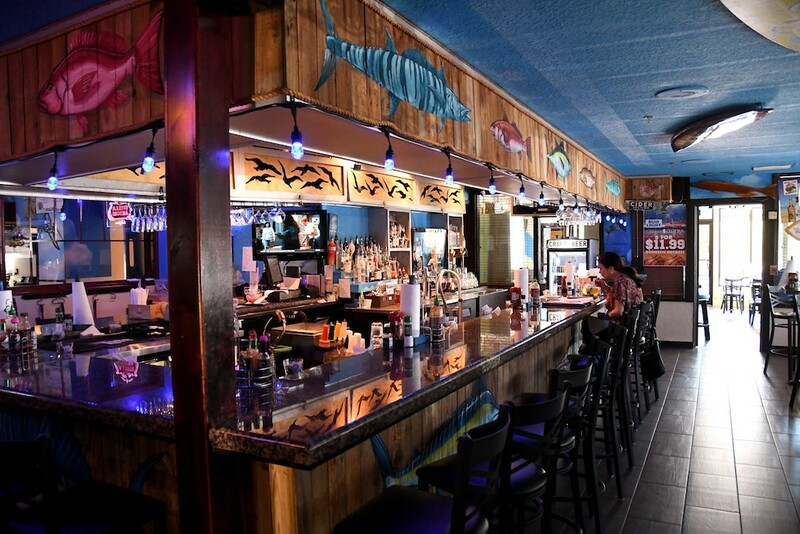 The family-owned restaurant has some of the best seafood in the area, embodying the Florida atmosphere with a relaxed and friendly environment that your students will love. Just ask the locals. Students will also enjoy the plentiful portion size while you can appreciate the reasonable prices (For the best deal, we recommend stopping by on “Maniac Monday” when all food is 25% off). Their menu features oysters, clams, crab, fish, shrimp, shellfish and pretty much everything under the sea. At High Tide Harry’s, all of their food is cooked to order and made with the freshest ingredients available, earning them a number of awards for Orlando’s best seafood. They were even named “The best seafood restaurant in Orlando” by the Orlando Sentinel and were voted #1 in the 2017 Foodie Awards. But for students who don’t have a taste for seafood, High Tide Harry’s also offers chicken, ribs, steak and, for the vegetarians, pastas and salads. Seating will not be an issue for your student group thanks to High Tide Harry’s spacious seating areas, and restaurant parking will save your students from a long walk after a tiring day of traveling or sight-seeing. Located just 2 miles north of the Orlando International Airport, High Tide Harry’s is the perfect place to immerse your students in the local culture right when they get off the plane. What better way to welcome your students to the sunshine state than bringing them “where the locals eat”?